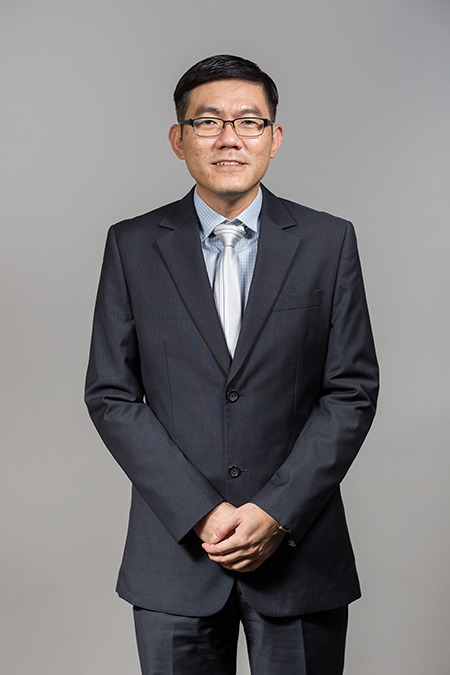 Chuan Hoo (CH) is an Associate Professor in the Department of Information Systems and Analytics at the National University of Singapore (NUS). Prior to joining NUS he held a tenured faculty position in Hong Kong. He is a recipient of the INFORMS ISS Design Science Award 2013. Li, M. X., Tan, C. H., Wei, K. K., and Wang, K. L., "Sequentiality of Product Review Information Provision: An Information Foraging Perspective," MIS Quarterly, September 2017, forthcoming. Huang, L. Q., Tan, C. H., Ke, W. L., and Wei, K. K., "Helpfulness of Online Review Content: The Moderating Effects of Temporal and Social Cues," Journal of the Association for Information Systems, July 2017, accepted. Tong, Y., Tan, C. H., and Teo, H. H., "Direct and Indirect Information System Use: A Multi-Method Exploration of their Social Power Antecedents in Healthcare," Information Systems Research, October 2016, accepted. Goh, K. Y., Tan, C. H., Teo, H. H., “Stated Choice Analysis of Conditional Purchase and Information Cue Effects in Online Group Purchase,” Journal of the Association for Information Systems, Volume 16, Issue 9, September 2015, Article 9. Tan, C. H., Sutanto, J., Phang, C. W., and Gasimov, A., “Using Personal Communication Technologies for Commercial Communications: A Cross‐Country Investigation of Email and SMS,” Information Systems Research, Volume 25, No. 2, June 2014, 307-327. Li, M. X., Jiang, Q. Q., Tan, C. H., and Wei, K. K., “Enhancing User-Game Engagement through Software Gaming Elements,” Journal of Management Information Systems, Volume 30, No. 4, Spring 2014, 115-150. Huang, L. Q., Tan, C. H., Ke, W. L, and Wei, K. K., “Comprehension and Assessment of Product Reviews: A Review-Product Congruity Proposition,” Journal of Management Information Systems, Volume 30, Issue 3, winter 2014, 311-343. Sutanto, J., Palme, E., Tan, C. H., and Phang, C. W., “Addressing the Personalization-Privacy Paradox: An Empirical Assessment from a Field Experiment on Smartphone Users,” MIS Quarterly, Volume 37, Issue 4, December 2013, 1141-1164. Ke, W. L., Tan, C. H., Sia, C. L., Wei, K. K., “Inducing Intrinsic Motivation to Explore the Enterprise System: The Supremacy of Organizational Levers,” Journal of Management Information Systems, Volume 29, Number 3, Winter 2013, 257-290. Tan, W. K., Tan, C. H., and Teo, H. H., “Conveying Information Effectively in a Virtual World: Insights from Synthesized Task Closure and Media Richness,” Journal of the American Society for Information Science and Technology, Volume 63, Issue 6, June 2012, 1198-1212. Sutanto, J., Tan, C. H., Battistini, B. and Phang, C. W., “Emergent Leadership in Virtual Collaboration Settings: A Social Network Analysis Approach,” Long Range Planning, Volume 44, Issues 5-6, October-December 2011, 421-439. Tan, C. H., Teo, H. H., Benbasat, I., "Assessing Screening and Evaluation Decision Support Systems: A Resource-Matching Approach," Information Systems Research, Volume 21, Issue 2, June 2010, 305-326.